This coffee pop-up just made dating even weirder thanks to 3D printing and...latte foam? As if we really need to complicate dating even more: Now there’s a coffee pop-up in London that wants to make swiping on potential dates via an app ancient history. Instead, their plan involves sipping them. Wait, what? It’s as weird as it sounds. For some reason, a British coffee truck is giving new meaning to the term “coffee date” by putting the faces of potential dates on your latte foam. Yup, Espresso Yourself, teamed with Match.com, is 3D-printing other people’s faces on your hot caffeinated beverages, because what better time than your coffee break to meet a potential suitor? The cup acts like a profile, and includes information such as name, height, age, and hobbies. If you like what you see (and taste?) you can then contact the lucky guy or gal through Match.com. If you don’t see the man or woman of your dreams (or the “chappuccino” or “femmericano,” as Espresso Yourself dubs them), don’t fret. 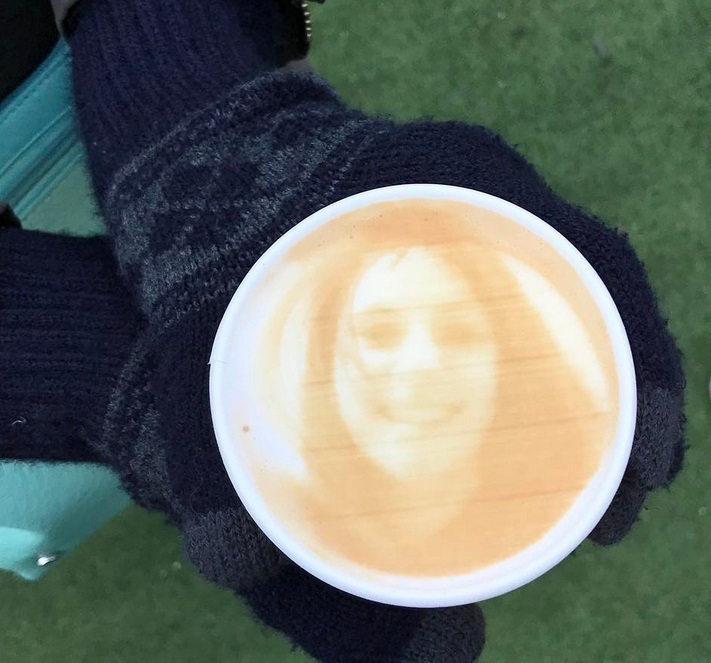 You can ask the nice baristas if they will 3D-print YOUR face on a latte (called a “selffee”) and hope that the right person comes along and scoops you up. If you’re single and can get over the weirdness of it all, the coffee itself is actually free. So what do you have to lose? What do you think, guys, would you date the face in your foam?